So you can't connect to instant messenger on your personal lappy while replying work email on company lappy. If you don't see that, I guess either your W7 edition does not come with it or your real wifi adapter is not compatible with it. There are 2 ways of setting up. Go for method 1 if you are not adventurous into technical or otherwise read on for method 2. Before you proceed, I would assume that you've plugged in the ethernet connection to your W7 lappy and you've subscribed to the internet service and able to browse internet as usual on W7 lappy. This method uses command line interface to configure the access point. 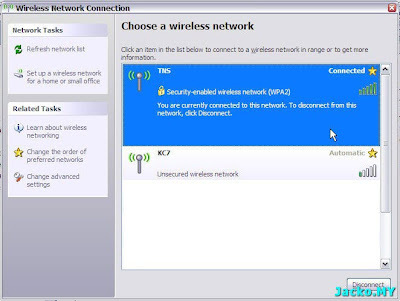 Before get into the text based configuration, you must know the adapter name of the Microsoft Wifi Miniport which is going to be the access point. 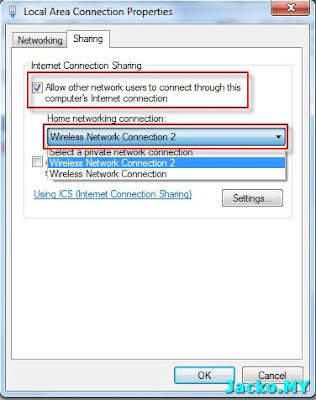 You will also need to enable ICS or Internet Connection Sharing for the adapter that has internet connection. In this example (refer to snapshot above), the access point adapter is named Wireless Network Connection 2 and the internet connection is on Local Area Connection (the ethernet connection connected to hotel room internet). 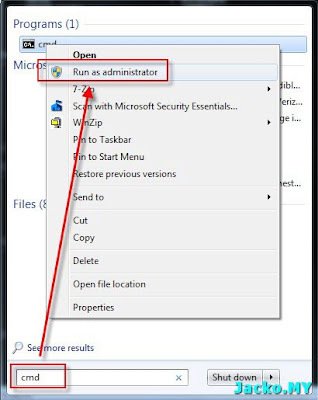 ICS is not new to Windows, it can be found in older version of Windows. 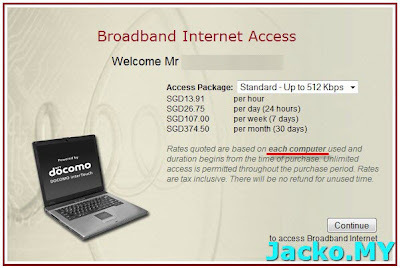 In above setting, we simply enable internet connection sharing on Local Area Connection to Wireless Network Connection 2 which is going to be the access point for other computers to access internet. In example above, I replace YourVirtualNetworkName with TNS and some alphanumeric characters for YourNetworkPassword (I masked it) respectively. Try it out now. Not on W7 yet?? Time to upgrade then!